strawberry rhubarb cardamom shortcake. maple whip cream. Nothing signals the beginning of summer for me like strawberry shortcake. I love the smell of strawberries and sun! This is an adapted twist on the classic. The cream biscuits have just hint of cardamom and the rhubarb adds a bit of tartness to the sometimes cloyingly sweet strawberry. It is topped with a hit of woodsy maple whip cream! Stir together in a large bowl. Remove 1 tablespoon and set aside. 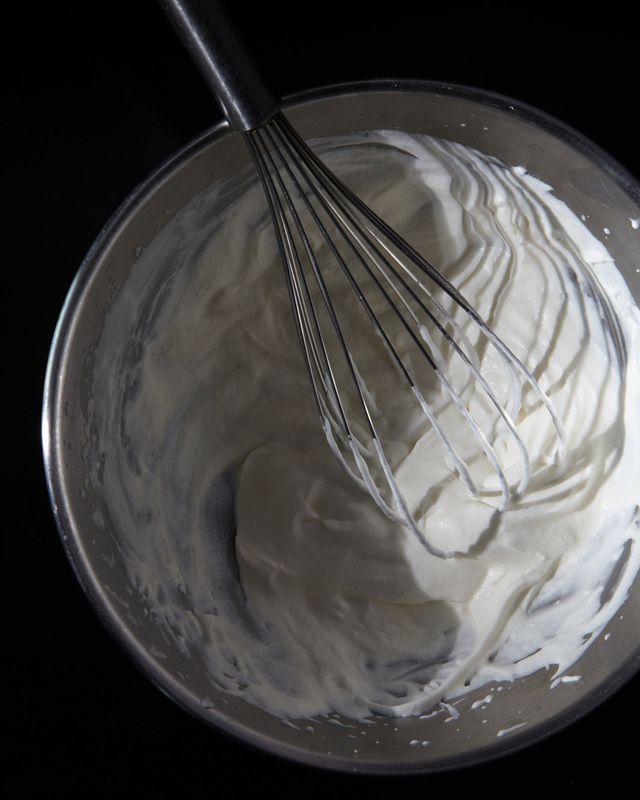 Lightly stir in the remainder of the cream with fork until the mixture just comes together. Without overworking it, lightly knead the dough a couple of times in the bowl, turn it out onto a lightly floured board, and roll out about 3/4 inch thick. Cut into eight 1 1/2 inch circles or squares. Rerolll the scraps if necessary. Place the biscuits on a baking sheet lined with parchement paper and lightly brush the tops with the reserved tablespoon of cream and a sprinkle os sugar. Bake for 15-17 minutes or until cooked through and golden. 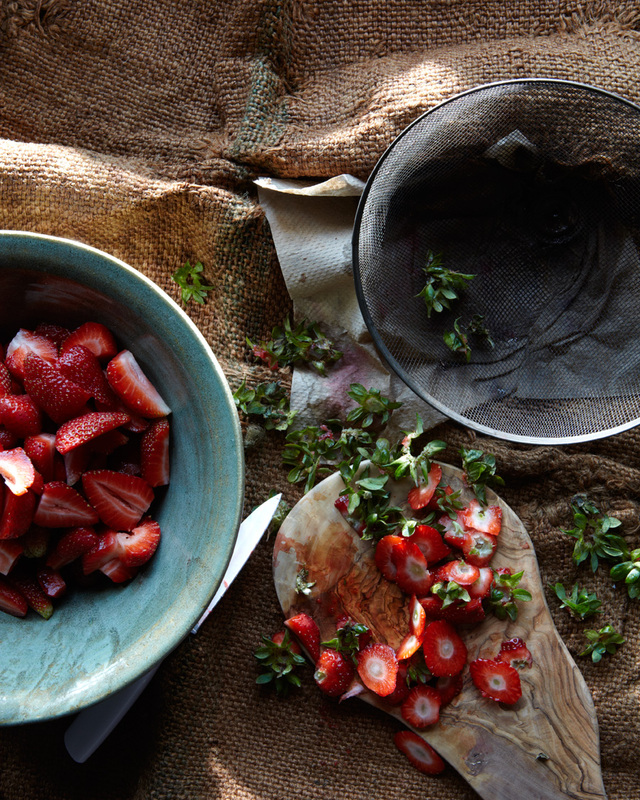 Once cool, combine the rhubarb and the strawberries and mix together well. Set aside.